At 1st Providers Choice, we have experience helping healthcare organizations attest for Meaningful Use. Whether you are new to the program or ready to get started with Stage 2, we can help your practice achieve its goals. 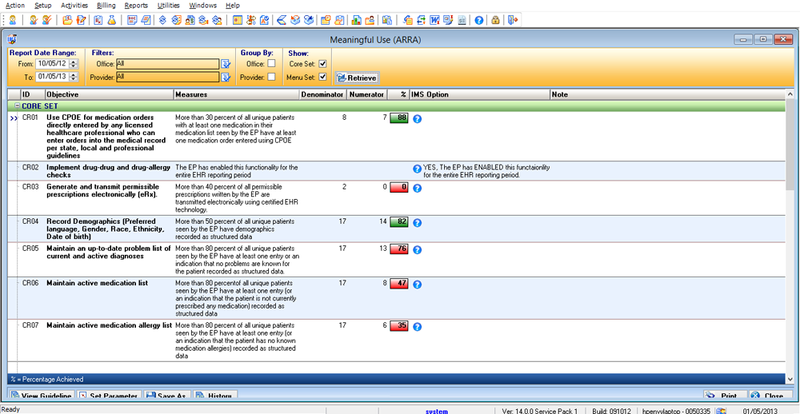 To see a free demo of our Chiropractic EMR software's Meaningful Use Dashboard, call 480-782-1116 today!